I am so excited to share with you this Read Aloud Thursday our latest completed chapter book read-aloud. We finished Tumtum and Nutmeg: Adventures Beyond Nutmouse Hall by Emily Bearn last week, and while we’re well into our next chapter book already, we won’t forget the adventures of these proper little mice any time soon. This book was an absolute delight to read aloud, and I can’t think of another book that has gotten quite the reception this one got from my girls. This volume is actually a compilation of three shorter stories: Tumtum & Nutmeg, The Great Escape, and The Pirates’ Treasure. 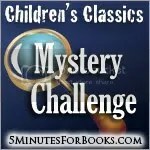 Each story is just as delightful as the next, and each one is chock full of adventure. In each story, Tumtum and Nutmeg, the sweet mouse couple whose estate, Nutmouse Hall, is located inside the broom closet of the Mildew home, take it upon themselves to better the rather lowly lot in life of the Mildew children, Arthur and Lucy. In the first story, this involves assisting them in ridding the house of their troublesome Aunt Ivy. In the second story, the Nutmouses must leave the confines of their home in order to rescue their friend, General Marchmouse, who has been taken to school by Arthur Mildew to live with the classroom gerbils, a truly disgraceful fate for a mouse of his stature. In the third story, the Nutmouses face off against some Rat Pirates, and once again the story involves both General Marchmouse and Arthur and Lucy. My girls loved each one of the stories, but I think their favorite one was the second one because the Nutmouses’ rescue plan involves mouse ballerinas on pogo sticks. Really, you have to read it to believe it. The only story that gave me pause at all is the third one, and only because I was rather taken aback by the fact that the Mildew children intoxicate (Anne of GG, anyone?) the Rat Pirates with chocolate liqueurs in order to help free the captured mice. It is a funny story, but I wasn’t sure exactly what to say to my girls about it, so I didn’t say much–I just read it. I noticed that there is also a Tumtum & Nutmeg Christmas Adventure , which we might just have to add to our Christmas book basket this year. I have to give a little hat-tip to Stephanie for first mentioning Tumtum and Nutmeg some time back on her blog. I had seen it at the library, but it was Stephanie’s post about it that prompted me to pick it up. Stephanie might just have her own Tumtum and Nutmeg post up today, too. Check her out! What about your family? What have you been enjoying together? Click on the MckLinky link below to leave your blog link, or just leave a comment. I’ve seen Tumtum and Nutmeg at the library, but the book is so thick, and my arms have been so full already, that I haven’t picked it up. (Lame, lame…) You certainly raise my interest. Ever heard of ‘The Attic Mice’? I picked it up at the library this week (what can I say, it’s thinner) and Older Daughter likes it, but Younger Daughter hasn’t been captured yet. I’ve never heard of Tumtum and Nutmeg. What fun-sounding stories! I’m so happy I could participate in Read-Aloud Thursdays today (even though my post accidentally went up yesterday). I haven’t heard of Tumtum & Nutmeg either. Sounds cute. We read stories about coats this week. I found your weekly linky from Lead, Guide and Walk and linking my own WMCIR Saturday round-up. 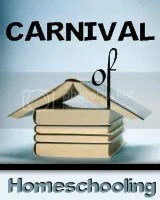 I am always on a lookout for good books to read, hopefully we can increase participation by linking our carnivals.